Beleaguered manager Rafael Benitez will be desperately hoping for a long overdue three points when his Liverpool side host another team with Champions League aspirations on Wednesday night. Saturday's 1-1 draw with Stoke City left the ailing Reds down in seventh place in the table and four points adrift of Tottenham in the all-important fourth place. Dismal league form - seven defeats from 21 games this season - and premature exits from both the Champions League and FA Cup have ratcheted up the pressure on Benitez, with some fans now beginning to openly question whether the Spaniard is the right man for the job. Another defeat on Wednesday is almost unthinkable and Benitez must be ruing the timing of the injury blows to star duo Fernando Torres and Steven Gerrard. Both will be absent from the teamsheet in midweek alongside Yossi Benayoun (rib) and Glen Johnson (knee), so the spotlight will once again fall on the much-criticised fringe members of the Reds squad. 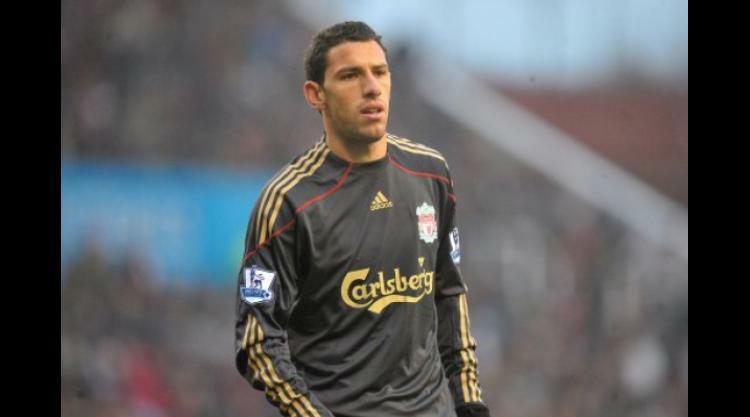 Recent signing Maxi Rodriguez is likely to come into the starting line-up after a cameo appearance at Stoke following last week's arrival from Atletico Madrid. Main summer signing Alberto Aquilani is also set to be called up from the substitute's bench to help fill the creative midfield void created by Gerrard's hamstring injury absence. Meanwhile, Tottenham head north looking to bounce back from a disappointing goalless draw with Hull City on Saturday. For Harry Redknapp, it was a poor way to celebrate his 500th Premier League game in charge as his Spurs side continue to struggle to take points off the bottom teams at White Hart Lane after previously suffering home defeats against Stoke and Wolves. The one consolation for Redknapp was seeing his side keep their fifth successive clean sheet in the Premier League which equals a club record going back to 2001. Peter Crouch could be drafted in to face his former club after Robbie Keane was preferred to the England striker at the weekend. Aaron Lennon, Benoit Assou-Ekotto (both groin), Jonathan Woodgate (groin) and Carlo Cudicini (broken wrist) remain on the treatment table.